Schism • Colleagues call on founder to step away. In this 2005 Tribune file photo, Genpo Roshi Dennis Merzel prepares for interviews where he tests the conceptual mind and transcen In this 2005 Tribune file photo, Genpo Roshi Dennis Merzel, right, interviews Michael Zimmerman to test his conceptual mind and tr Chris Detrick | The Salt Lake Tribune The Kanzeon Zen Center on Tuesday, May 3, 2011. 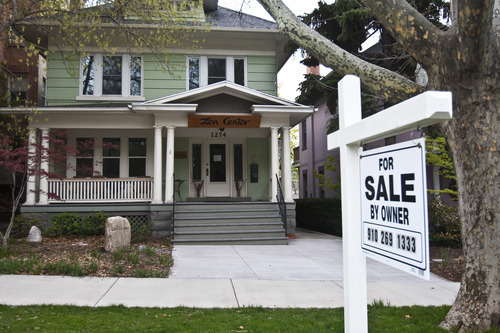 Chris Detrick | The Salt Lake Tribune The Kanzeon Zen Center on Tuesday, May 3, 2011. 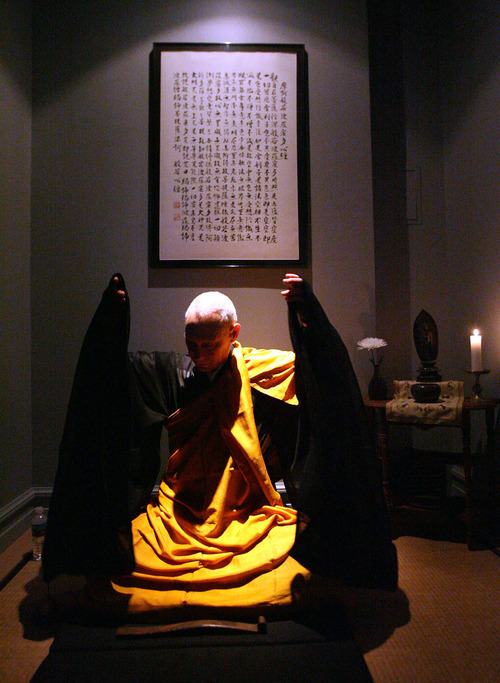 In this 2005 Tribune file photo, Genpo Roshi Dennis Merzel prepares for interviews where he tests the conceptual mind and transcendental understanding of the practitioners to help them go beyond the dualistic mind. 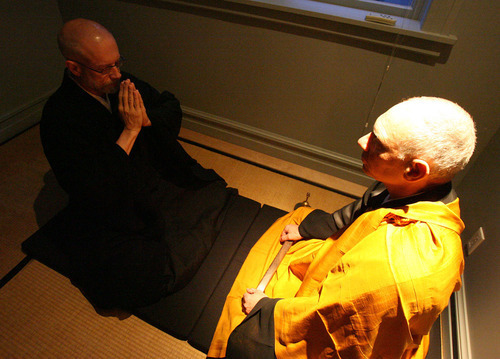 In this 2005 Tribune file photo, Genpo Roshi Dennis Merzel, right, interviews Michael Zimmerman to test his conceptual mind and transcendental understanding to help him go beyond the dualistic mind. 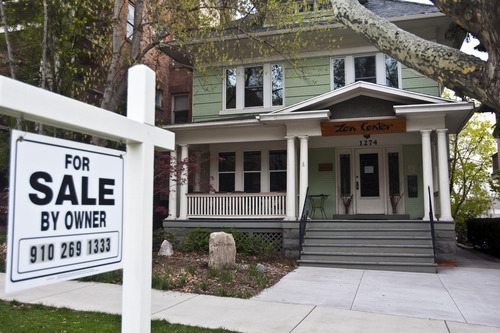 Chris Detrick | The Salt Lake Tribune The Kanzeon Zen Center on Tuesday, May 3, 2011. Chris Detrick | The Salt Lake Tribune The Kanzeon Zen Center on Tuesday, May 3, 2011. But he said Friday  in his first interview since the scandal erupted  that he has too many people depending on him for enlightenment and financial support to stop teaching. "I've asked the [Kanzeon] board to ask the community of people still with us what they want," Merzel said. "It seems to me … that if they want those buildings, then they have to come up with the finances for it."